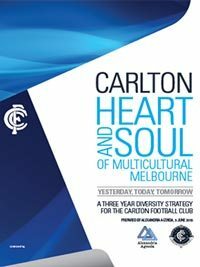 Alexandria Agenda presented a detailed three-year diversity strategy to Carlton Football Club's Chief Executive Officer, Mr Steven Trigg, on 9 June 2015. Alexandria Agenda sees the Carlton Football Club as one of Melbourne's iconic sporting organisations. Given its history, its location and its current strategic vision, Carlton FC is uniquely placed to turn diversity into one of its prime assets, enabling it to enhance its community engagements, its public profile, the effectiveness and strength of its business organisation, and not least its performance on the football field. Alexandria Agenda presented a detailed three-year strategic plan to the President of the Islamic Council of Victoria (ICV), Mr Ghaith Krayem, on 10 May 2015. Alexandria Agenda was asked by ICV to conduct a review of the organisation, its needs, objectives and priorities. 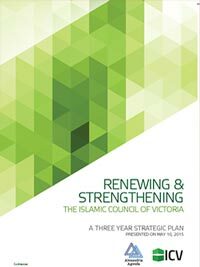 The brief was to prepare a viable three-year program designed to renew and strengthen ICV and so enable it to represent more effectively the values of Islam and the interests of the Islamic community in Victoria. 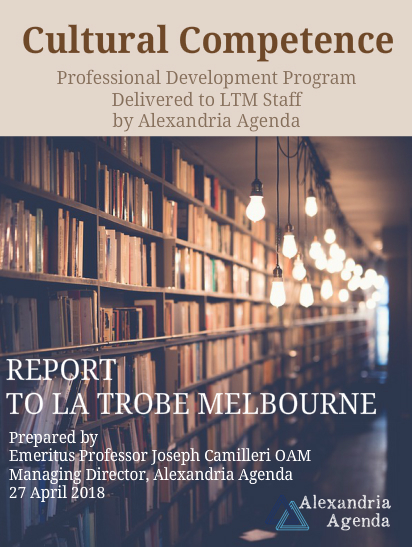 A report was prepared by Alexandria Agenda Associate Dr Aran Martin and presented to the Air China management team in Melbourne on 15 May 2015. 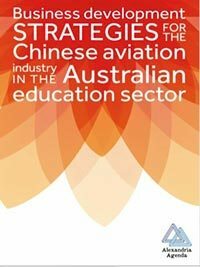 Alexandria Agenda was engaged by Air China to design a stakeholder engagement strategy to develop the company's presence in the Australian education travel market. Staff gained a deeper appreciation of the challenges facing international students, and of the opportunities to engage with students and colleagues in culturally more effective forms of communication. 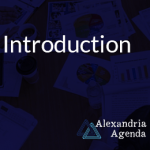 A three-year strategic plan was prepared by Alexandria Agenda at the request of ICV President, Ghaith Krayem, and presented to the ICV Executive Committee in May 2015. Under the leadership of Professor Joseph Camilleri, Alexandria Agenda consulted extensively with the ICV president, executive committee members, the general manager, other staff, past presidents and other office holders, ICV member organisations, other Islamic groups, government bodies and many community organisations. The 3-year strategic plan contained some 100 recommendations covering the following areas: Stakeholder engagement within the Muslim community; Engaging with the wider community; Policy development; Media and communications; Funding and Resources. The Report was extensively discussed by the ICV’s Executive Committee over a period of 9 months. At the end of its deliberations the Executive Committee accepted all the recommendations, and proceeded to establish a priority list of recommendations, several of which have already been implemented with several more in various stages of implementation. Alexandria Agenda was subsequently asked to assist with several aspects of implementation. The first stage was completed towards the end of 2016. A second stage is currently under consideration. Professor Camilleri was engaged by the Islamic Shia Council of Victoria (ISCV) to assist in preparations for its formation, in particular to advise on the organisation’s vision, mission, structure and program. On completion of the assignment in February 2017, he was presented with an award in acknowledgement of the consultancy and his mentorship of the process. ISCV is an umbrella organisation representing over 60 Shia organisations in the state of Victoria. Its aim is to represent the views and interests of the Shia community of Victoria, while developing friendships and working with the wider Islamic community, other faiths, ethnic and community organisations and all levels of government. Commissioned to conduct a meta-evaluation and international practice review of the introduction of university diversity charters and diversity objectives on behalf of the Director, Multicultural Engagement delivered on 23 August 2016 in the publication ‘University Diversity Charter Review”, followed by the design and analysis of a process of university consultation and survey to provide input and draft copies of a Cultural Diversity Strategic Framework, Charter of Cultural Diversity Principles and list of Cultural Diversity Objectives, culminating in the report ‘Cultural Diversity Strategic Framework: Report on Consultation Process’ presented to Swinburne University on 24 November 2016, and included recommendation on ongoing monitoring, learning and evaluation mechanisms. 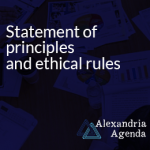 If you would like to know more about the reports, or how Alexandria Agenda may be able to help your organisation, please contact us. 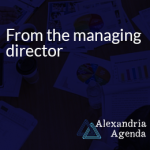 Alexandria Agenda assists businesses, governments, universities, NGOs and international organisations to handle complex relationships involving stakeholders with diverse interests and backgrounds. It does this by providing expert advice, culturally competent training, dialogue facilitation, and rigorous evaluation. 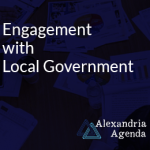 Proudly created for Alexandria Agenda by AuCreatives. All rights reserved.